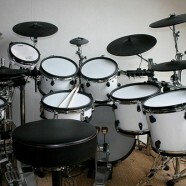 Here are some of the most beautiful electronic drums kits, that are home made (more or less). And now some extreme examples! Wow, some great looking kits here! Beautiful blog! It really is wonderful and caught my interest. I will surely add this on my favorite list. Thank You for sharing. Be super cool if you had another silo of kits that were the weirdest–i’ve seen people use the triggers inside film containers, plastic fruit, DVD and VHS boxes… I built a kit completely out of PVC 1″ 1/4″ tubing (the stand was the drums) and a pedal i designed in the late 80′s before the V-Drums came out. I will scan/send a photo of that when i find one. Cool site–thank you!!! 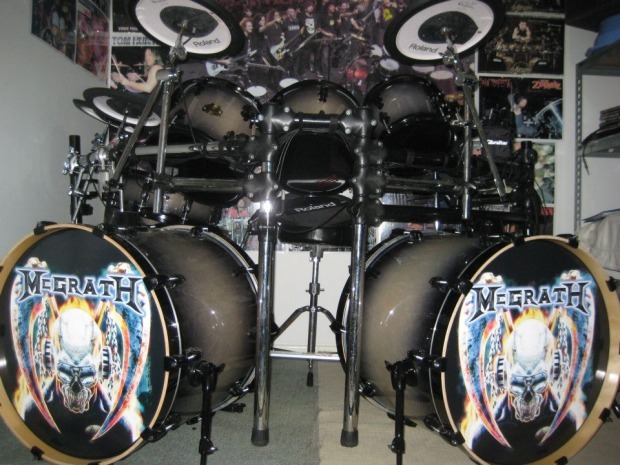 Replying just to clarify that the kit with my nickname (marcelpeart) it´s not really mine, it´s just a picture that I post in some e-drums forum to show how beautiful it was made.